Never buy fuel again! 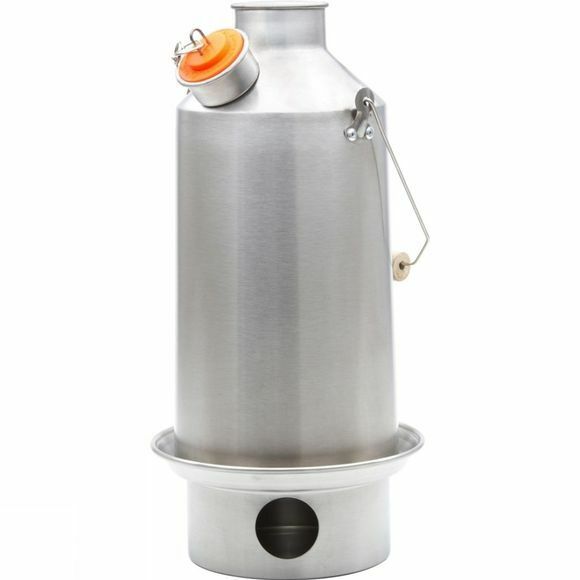 A fiendishly simple idea, the Kelly Kettle is basically a double-skinned metal chimney. Its tapering shape means a fire lit beneath it in a vented metal base draws very efficiently and lights easily, heating water which you pour into the chimney's hollow walls. Using whatever solid fuel is naturally occuring in the area - sticks, grass, pine cones, birch bark, even dry animal dung - the Kelly Kettle works in harsh weather conditions, bringing water to the boil within a matter of minutes. 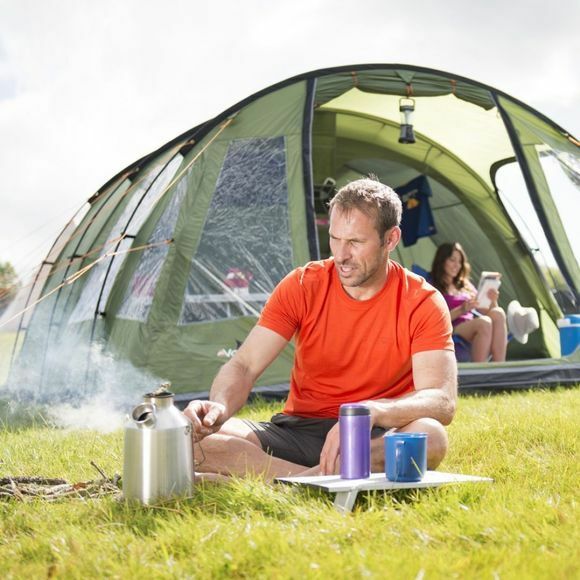 Boiling around 6 Mugs of water at a time, the Base Camp Kettle has traditionally been used by Irish Anglers but is also suitable for car camping, garden allotments, picnics, hunting trips and wilderness survival or even use by humanitarian aid groups: anyone living and working in the outdoors!